Seniors are required to attend school 170 days prior to the graduation date. 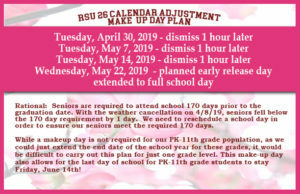 With the weather cancellation on 4/8/19, seniors fell below the 170 day requirement by 1 day. We need to reschedule a school day in order to ensure our seniors meet the required 170 days. 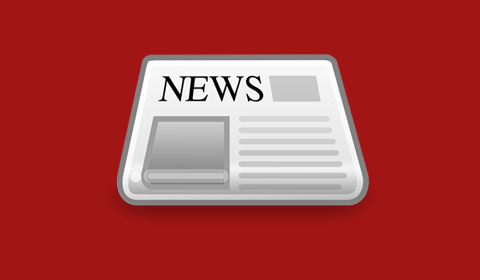 While a makeup day is not required for our PK-11th grade population, as we could just extend the end date of the school year for these grades, it would be difficult to carry out this plan for just one grade level. This make-up day also allows for the last day of school for PK-11th grade students to stay Friday, June 14th!